Normally we are installing solar energy systems to power buildings and the grid. But sometimes we get to work on smaller more portable systems. 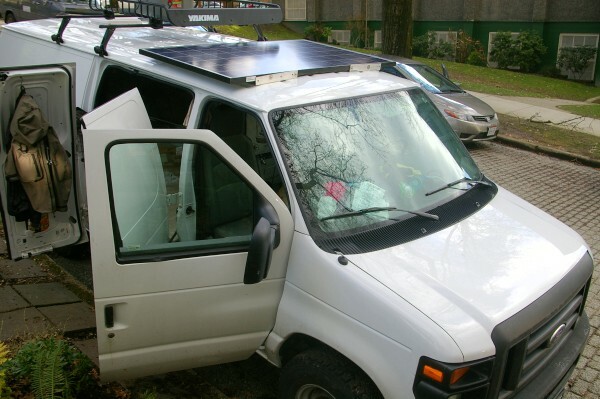 Last week the VREC crew designed and installed a solar energy system for a van. The van owner regularly camps out in his vehicle and has a deep cycle battery to run small devices. Prior to our work he needed to run the van’s engine to recharge this battery. It is not an electric vehicle – the vehicle still needs gas to run. But by installing solar it will reduce the amount that the owner runs the van. So it will take a small dent out of GHG emissions and fossil fuel use. 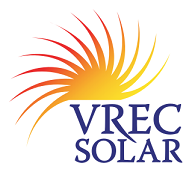 VREC can supply all the equipment you need to get your van or motor home solar powered.